Advertising writers in Florida were planning to pitch hemorrhoid-relief products with a commercial featuring the Johnny Cash classic "Ring of Fire," but Cash's family said there's no way they will let it happen. "We would never allow the song to be demeaned like that," Cash's daughter, Rosanne, told the Tennessean of Nashville, Tenn. The hit was written by Cash's wife, June Carter Cash, and Merle Kilgore, who now is Hank Williams Jr.'s manager. 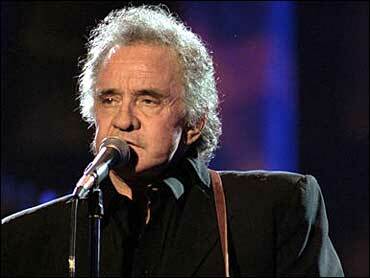 Both Johnny Cash and June Carter Cash died in 2003. TV producer Sula Miller of Big Grin Productions in Fort Lauderdale, Fla., said she thought of the idea when she heard the song on the radio while struggling with the uncomfortable condition. Kilgore said at first he thought the idea was funny, and that he often joked about hemorrhoids onstage whenever he'd introduce Ring of Fire. But Cash's family is not laughing. "He (Merle) started talking about this moronic tie-in without talking to any of us," Rosanne Cash told the Tennessean. "The song is about the transformative power of love and that's what it has always meant to me and that's what it will always mean to the Cash children." Kilgore said it was not his intention to upset the family. "Love is a burning thing/ and it makes a fiery ring/bound by wild desire," the song goes. "The taste of love is sweet/ when hearts like ours meet/ I fell for you like a child."